Now-a-days, lot of inventions occur in science and engineering. Everyday different fields of science and engineering come together to make something new. This technology field termed as Robotics has the capability to create machines with ability to do anything that a human can do. They have the power of imitating actions ranging from walking to cognitive automation. They are highly useful in saving time and energy. 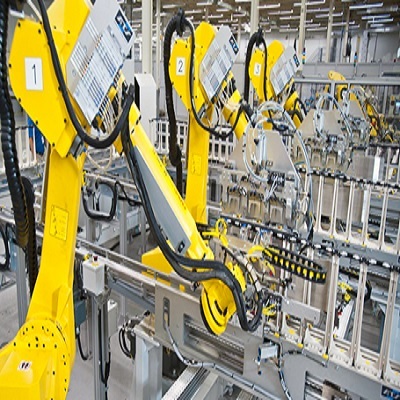 Industrial robots are very demanding in Manufacturing, Automobiles and Automation industries. They can do every operation such as painting, assembling etc and have become necessity as they are reliable, flexible, accurate, less time consuming, working fast, and easily operate. Many hotels and restaurants are using robots for cutting vegetables , serving foods, checking food quality etc. Robotics comes as a boon to the industries requiring high precision work, such as diamond cutting industry where using robotic equipments for diamond cutting and shaping helps in obtaining quality products. Another new innovation in this field is Drone technology and big investments are bringing more advanced drones to the market. Recently, this technology was used by "Amazon" for delivering package or product. There are several types of computerised drones that can be used in military and they have started using these in military experiments. Robotics has been a benefit to human kind and integrating it with artificial intelligence will help the world to achieve new heights.